As these two comments prove, Junk King likes to leave a place better than when they found it. It will already be an improvement without the junk but sweeping up makes it ready for whatever else needs to go in that space even if it remains empty. Junk King knows how hard it is for some folks to let go of things. Once you’ve made that decision, they’ll provide you with all the support you need to get the job done. It might have taken you years to collect all that stuff but it won’t take Junk King Denver any time at all to get rid of it. Put them to work today. This entry was posted in Denver Junk Removal and tagged Junk King, junk removal, reviews on April 21, 2018 by Junk King. Last updated April 21, 2018 . The Junk King Denver crews always show up with a positive attitude. It doesn’t matter how hot or cold it is outside or the scope of the job. They want to make sure you’re smiling to the whole process. It helps of they been licensed, bonded and insured. Those are the only type of workers you should invite into your home! No job is too big or too small for Junk King Denver. In addition to getting rid of things like pianos, they can also take away pool tables, hot tubs, swing sets and even entire above ground swimming pools. Put Junk King Denver to the test of your junk removal and you’re sure to give them a grade A! 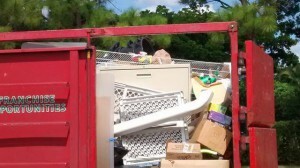 This entry was posted in junk removal and tagged Junk King, junk removal, reviews on October 22, 2016 by Paul Durant. Last updated August 15, 2017 .